Could Major League Baseball be headed back to Montreal? With general manager Andrew Friedman and manager Joe Maddon having already left the organization, the future of the Tampa Bay Rays is suddenly not so bright for Florida fans. A report in the New York Daily News, however, suggests that this could directly benefit baseball fans in Canada. The Daily News' Bill Madden reported that Rays owner Stuart Sternberg has been frustrated with new stadium efforts in Florida and that the market may not be able to support the team regardless. He cited sources stating that Sternberg has discussed a possible move to Montreal with some of his Wall Street associates. Montreal, of course, remains hungry for an MLB franchise after the Expos were relocated to Washington in 2005. The move ended 36 years of MLB action in the city, finalizing the slow decay of the franchise that had seen the club play before sparse crowds and even sharing home dates with San Juan, Puerto Rico after the club had been purchased by the League. The League has been reaching out to Montreal of late, though, with Olympic Stadium playing host to a pair of Toronto Blue Jays preseason games this past spring. The first contest between the Jays and the New York Mets drew a crowd of over 46,000. 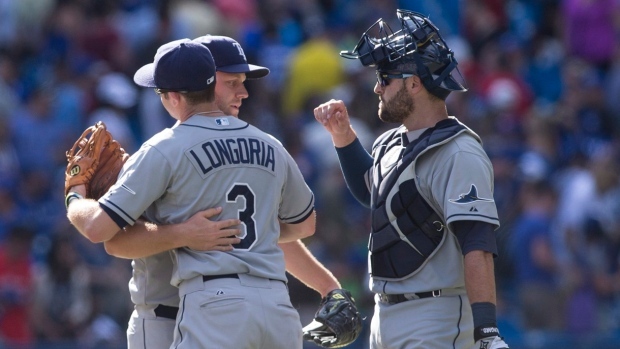 The Rays have played out of St. Petersburg, Florida since their inception in 1998 and have seen a shift from post-expansion failure to being consistent contenders over the last seven seasons. The 2008 season marked a shift for the organization, who dropped the name "Devil Rays" for their current handle and won 97 games under Maddon in his third year with the club. The turnaround marked the first time in franchise history that the club had not lost 90 games in a season and led to the franchise's first post-season appearance and lone World Series berth. Madden quoted an MLB source stating that while Montreal had attendance issues in its last seasons, the Rays have not been a model for attendance themselves. “Say what you will about Montreal, but the Expos drew well over two million fans four times there in their heyday, while the Rays did that only once, their first year," his source stated.